There comes a point in any business lifespan when a little help is needed. But when your business is your baby, it can be difficult to let go and ask for help. That’s where a business coach can be the answer your business needs. You wouldn’t expect a sports team to get better and grow without a coach, so what makes you think your business is any different? Let’s look at 5 reasons why you should hire a business coach to push your business to the next level. It’s very easy to get caught up in our own ways of thinking and doing things. There’s a comfort level there that draws us in and keeps us there. But a business coach will help push you out of that comfort zone. And that’s one of the best things that can happen for a business! There’s a whole world of new ideas and opportunities you may have never thought of before. Some of them will challenge you and some of them will surprise you. They always say nothing grows inside a comfort zone. And neither can your business. 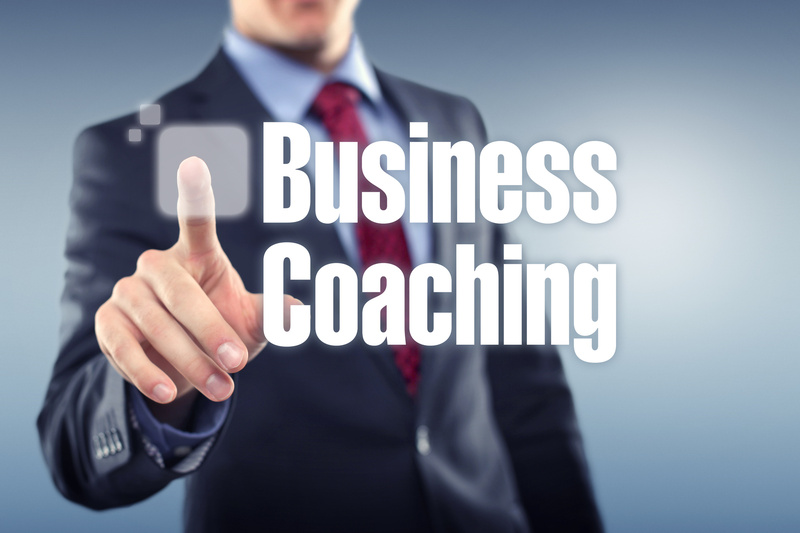 A business coach will know just how to get you out of that rut. Often times we have mental roadblocks that make it almost impossible to come up with new business ideas. But a business coach can steer you past those blocks, getting the ideas flowing again. With those blocks gone, your creativity now has room to gain momentum. And with that brings opportunity for more income. Whether it be new products to sell, a new service you can offer, or whatever else you come up with, a coach can help you break the creativity drought and generate new income. Having a fresh set of eyes come in and evaluate what you’re going great and what could use some work is invaluable information. It’s hard to take a step back and critique your own processes and results. But a business coach can come in and look at things from a different yet professional perspective. They can help you boost the things you’re already doing well. Plus help you come up with strategies to strengthen in areas that may need it. We all need a bit of encouragement and support from time to time. Especially in the competitive market of the business world. When things get busy and overwhelming, it can be easy to second guess so many things. But a business coach can be the cheerleader you need when you need it most. It’s amazing how support and words of encouragement can motivate you and lift your spirits. And many times, that’s exactly what we need to keep our businesses running full steam ahead. When you’re on your own, it’s tempting to let a task slide down your to-do list. Or give excuses on why a goal keeps getting procrastinated. But a business coach will hold you accountable for all that. They know the goals you want to reach. They keep track of your progress along the way. And if you start slacking off, they’ll know… and call you out on it. That’s the kind of motivational kick that can finally get you to your end goal! If you want to get your business to the next level, a business coach is just the person to guide you there. With their expertise, the sky is the limit! Needing tips to dominate your marketing plan? Check out our blog post on how to do just that! Ninety percent of startups fail. There are a lot of reasons why a company can fail. CEOs can be too confident in themselves, or the team may not work well together. Tech startups are especially vulnerable to failure from making simple mistakes. There are so many competitors in the modern tech startup scene that one bad move can crumble the whole operation. Not the least of which is neglecting tech marketing. The best tech startups invest in their marketing departments and work to distinguish themselves. They are more than just their products. Successful tech startups have a story to tell and can establish a brand early to attract customers. They also stand apart from the crowd and can attract investors. Keep reading to see four tech marketing mistakes to avoid! Just because you developed an impressive piece of software that’ll change the world doesn’t mean people will use. You have to work to sell your products because they won’t sell themselves. That means investing in a sales team and a marketing team. Sales and marketing go hand-in-hand, even if marketing is creative and sales teams handle numbers. You shouldn’t invest in one and not the other. Marketing teams bring people in. Sales team lock them in. Make sure they can do their jobs. It’s good to invest in your marketing team. But at the same time, you shouldn’t overspend on them. You need to make sure you have enough resources to build something to sell. Just because the tech industry spends around 15 percent of its budget on marketing doesn’t mean you need to. As a startup company, you need to be agile and lean with your money. Overspending on marketing can sink you just as badly as underspending can. You should already know how to be an entrepreneur. It’s a lot of leadership, accountability, and most of all responsibility. That leaves no time for you to be a marketer. It doesn’t matter how much you want to be like Steve Jobs. It doesn’t matter how many marketing books you’ve read heralding him. You’re not him. Trust in your marketing team to do their jobs. You do yours – lead them. The worst thing you can do is to try and sell yourself as an established company. The boring, beige logos of established companies were made only through exciting, stressful work. They have stories behind them. This is the time when you make those stories. As a startup, your brand should be new and exciting because that’s what you are. A successful company knows the value of having good marketing. Tech marketing is no different. Just because the products you build are high-profile, fancy, and potentially ground-breaking doesn’t mean anyone will want them. You have to put the work in to sell those things just like you put the work in to make them. And if you need tips about how to successfully market your tech startup, just contact me. Business Coach vs Life Coach: What’s the Difference? More and more people are getting life coaches, and more and more of those people are in the millennial age group. But some people use the terms “life coach” and “business coach” like they’re the same thing. Both are there to help you improve, but they’re there to do it in different facets of your life. There are some key differences between the two professions. Coaching helps people to build clarity and accountability by talking about their goals. Especially if you’re an entrepreneur, it’s useful to get guidance on your business endeavors and general coaching. Not surprisingly, a life coach is going to focus mainly on the details of your personal life. They may ask you where you see yourself in the future not just in terms of business, but in terms of relationships and living situations as well. They will ask you personal questions to get to know you better and realize goals you may never have known you had. What would you do if you had no fear? Are you doing anything to move toward your dreams? Simply put, a life coach is available to you to help you with thinking of your goals in a more tangible manner. They then help you to clearly set those life goals and give you steps on how to achieve them. Life coaches often make a lower salary than business coaches, but it all differs from individual to individual. A business coach is more geared toward, also not surprisingly, helping you reach goals for your business. They will ask you what you want to pursue in your future career goals, and facilitate ways to make those goals happen. They could help you write a business plan, learn how to communicate more effectively with your employees, or help affirm you in your leadership role. They’re like a life coach that addresses your business goals. They measure your success by your professional achievements and don’t pay as much attention to your personal life. However, if your personal life is in some way affecting how you run your business, the two might bleed into one another. 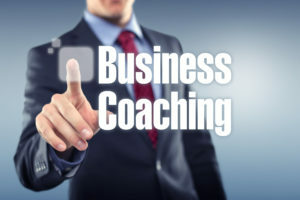 Knowing the differences between having a life coach and having a business coach can help you more easily determine which one will be the most beneficial to your particular set of circumstances. If you have a business of your own, you can also consider giving your employees tools to work with coaches of their own or get them a motivational speaker to motivate them the same way a life coach or a business coach might. If you have more personal needs, a life coach is going to help you the most. But if you are trying to boost your business career and feel confident in your personal life, then a business coach can help guide you. Either way, getting a coach is a great way to advance your life professionally or personally. In the United States, technology startups have grown 47 percent during the last 10 years. These companies employ 1.5 million workers. Technology entrepreneurship is expected to stay on the rise. How can you join these ranks? Becoming a tech entrepreneur isn’t easy. It might surprise you but, you don’t need all the tech know how in the world to be a great technology entrepreneur. What are the secrets to building a successful tech startup? There isn’t a strict regimen to follow. But, there are certain keys that can help you make it in tech. Not sure where to start? I’ll tell you 3 must know secrets about tech entrepreneurship you should apply from day one. You might be dreaming of joining the ranks of Mark Zuckerberg, Peter Cashmore, among others. Yet, we know achieving similar success doesn’t come overnight. It requires hard work, dedication, and passion. If you aren’t passionate about it, why even give it a try? Before getting into tech entrepreneurship, you should find your niche. What do you care about? Is it health? How can you solve that industry’s biggest problems? Yes, it might take time to find that million dollar idea. But, it will be a satisfying process. Every entrepreneur has their own journey. There isn’t a right or wrong approach to achieve success. 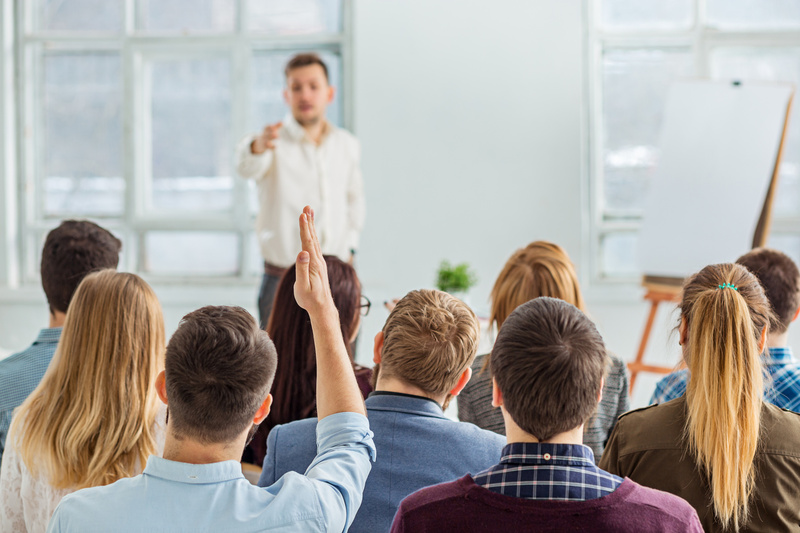 Many successful entrepreneurs say that learning sales skills were essential to their success. And, they aren’t wrong. Before meeting investors, you must create and know how to pitch your brand. Remember they have to believe in your product in order to invest. It’s essential to build an entrepreneurial marketing plan that fits your product and communicates your vision. Tech know-how isn’t a requirement to become a successful tech entrepreneur. Yes, it will be useful during your meetings with developers. But, understanding how your product is built and work is enough to be successful at tech entrepreneurship. You should consider learning basic coding to be able to communicate better with your development team. You might be thinking tech know how is the most important skill for successful tech entrepreneurship. Even though it is useful, being a great leader has more value. As a leader, you will be the glue of your startup. Not leading your team might kill your startup faster than not knowing how to code. Technology entrepreneurship isn’t an easy journey. But, like people say no pain, no gain. When you build a company from zero to success, you will see all your hard work and dedication in your results. It will be so satisfying to see your company grow to a level you never imagined. Remember to focus on solving major problems for an industry you are passionate about. 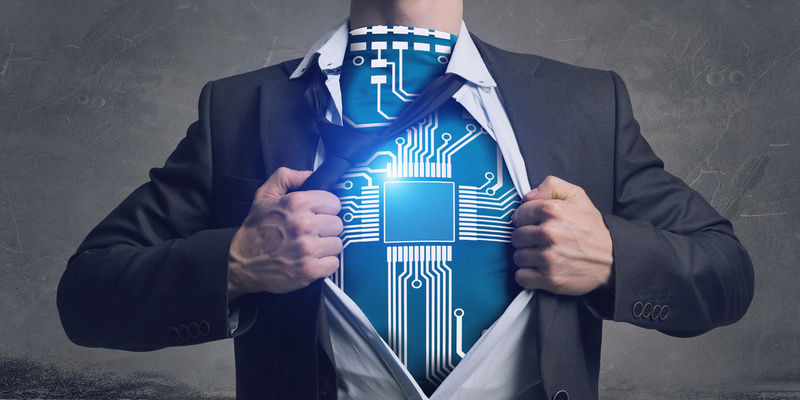 Being a tech entrepreneur is about more than just being your own boss. It is about bringing your idea or vision to life. Want to learn more tips on how to become a successful technology entrepreneur? Check out this article to learn more. No matter the industry you’re in, chances are you’ve been to a few conferences in your life. You’ve probably gone all over the country for trade shows and likely have a few international business trips under your belt, too. Or, maybe you’re just getting started and dreaming about all of these experiences. Here’s an interesting thought to consider: why attend the top conferences in your industry if you can one day headline them? Imagine yourself up on stage as the main conference speaker to kickoff or wrap-up an event. Think about what it would feel like to become an authority in the market and use your knowledge to empower hundreds or thousands of people listening to your speech. Don’t psych yourself out if you’re not sure you have this in you. 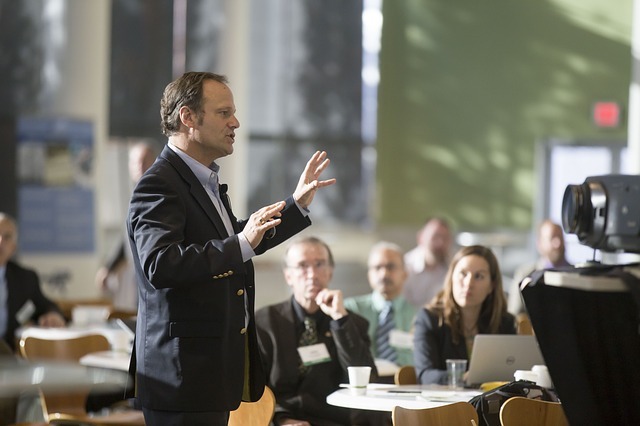 All you need are the following 5 traits to be a great conference speaker. Conference speakers are the kind of people who know how to get attention when they walk into a room. They have a commanding voice and use engaging body language on stage, but they also know how to carry themselves in small groups and one on one conversations. They’re fully aware of who they are, what their purpose is, and the value they can offer their audience. They’re also not full of themselves, though. Every great conference speaker knows how to listen just as well as they can speak their mind and be articulate. It’s one thing to speak your mind when sharing an opinion and another to be able to give in-depth explanations and theories. This is a big difference between amateur conference speakers and those who have honed their craft. You need to be able to share something new, interesting, and exciting whenever you step on stage. You need to be thinking ahead of the curve while supporting your findings/ideals with data. Put simply, you really need to know your stuff. Having expertise on a certain subject is what gives all your speeches/appearances credibility. But, emotional awareness is a fundamental part of the delivery. Emotional awareness completes what you’re trying to say by sharing it in a way that people are highly receptive to. You need this to be able to read a room when introducing yourself to a crowd. It’s what gets their initial attention and keeps them engaged whether you’re speaking for 5 minutes or a whole hour. Being emotionally aware is not the same as being authentic. You can be aware of the room and the receptiveness of others and still come off closed-off and unapproachable. You should try to present yourself in a way that’s friendly and understanding every time you’re on stage. You want the audience to know that you relate to them and that you have information that they can relate with, too. The best conference speakers only became the best after years of practice and experience. This is not something you can master overnight. It’s a profession that will always challenge you to learn more and try new things. You’ll have to use different approaches to speak to a crowd of 100 than one of 1,000. 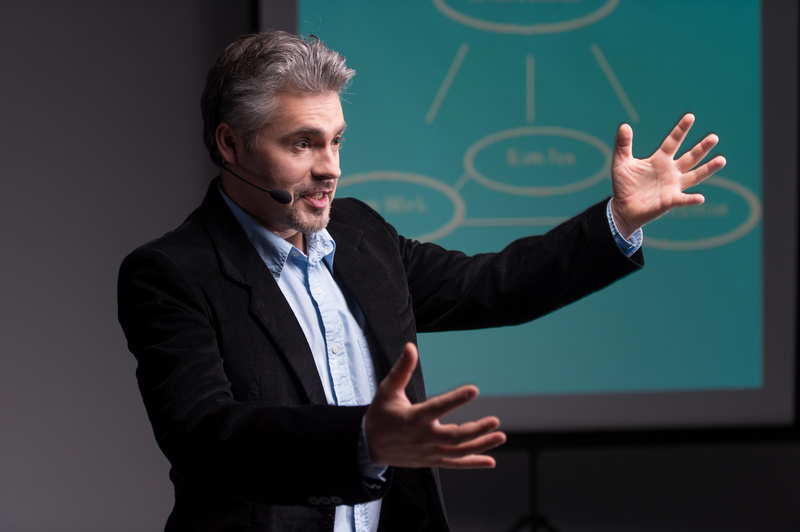 You have to learn how to craft a presentation that can be given to a wide variety of professionals, but also how to create unique, brilliant speeches. It’s a never-ending process. You’ll always be practicing your skills as a conference speaker, and you should never get one stage without running through a presentation a few times beforehand. If you get a thrill when giving presentations to the people at your company, you need to start thinking beyond the boardroom. You don’t always have to be the person who punches the clock and works to build someone else’s success. You can create your own success as a conference speaker. You can transform your work life and enhance your overall quality of life, but you have to be willing to put in the effort to become the best speaker possible. For entrepreneurship tips and tricks to help you do so, click here. Are you looking for the best speakers for your next big conference? If this is your first event, you should carefully choose the people that’ll represent your message and vision. The quality of the speakers can make or break your event. If you have a good selection, you’ll attract more attendees to fill up the seats. Start by researching your audience’s needs. Go to potential speakers’ websites, social media channels, and videos to see how they deliver. Then, you can narrow down your choices. Though quality speakers can be more expensive than less-known names, consider them a worthwhile investment. Check out the tips below to understand what it takes to be a conference speaker and how to hire the best ones in the field. Are They Experts in Their Field? This one is a given, but your speakers have to know what they’re talking about beyond their script. They should be experts in their field, with useful and valuable advice and knowledge the audience can apply in real life. Do your research before you hire a speaker to see if they’re an authority in their profession. Are They and Their Content Authentic? In this digital era where everything is available for free, it’s important to have authentic speakers. You need to deliver extra value to your audience and give them something they can’t find online or in books. This is where your speakers have to do the work and provide original content. Nobody would pay an expensive ticket to listen to a speech already available on YouTube. Your speakers should adjust and adapt the content to your audience and without repeating themselves too much. Do They Truly Want to Help the Audience? Many conference organizers go out of their way to book internationally famous speakers because they think it’ll sell more tickets. This is not always true. The speakers you hire should be willing to spread the word about the conference and actually be happy to be there. If the performance is just another job for them, you’ll be facing an unhappy audience and bad reputation. The people attending are there to find a solution to a problem. If the speaker isn’t willing to engage with the audience and help them out, they’re not a good fit. Are They Flexible and Reliable? Organizing a conference takes a lot of work and your speakers are the highlight of this work. They should understand the effort it takes to host them and not be too demanding. Some speakers are humble and don’t ask for too much but others can be complete divas. If they want special treatment or luxury accommodations, steer clear of them. They’ll end up costing you more than they’re worth. You should also make sure they don’t cancel days or hours before the conference. Hiring a conference speaker for your next event can be challenging if you don’t know what to look for. These tips will help you figure out what qualities your speakers should have in order to get on the stage and interact with the attendants. They have to be knowledgeable about their topic, prepare a concise, yet impactful speech and wow the audience. For more tips on how to organize a conference with the best speakers in the world, visit my blog. Or if you have any questions or would like to hire me to speak at your event, contact me today! With a massive 90% of startups folding, even getting to the point where you think you need to take someone new on board is a milestone. But recruiting someone to join your venture can be risky, so here’s our guide to your very first startup hire. We’ll look at the legal, practical and personal issues involved to help guide you to the right decision that will take your company to the next level. Before you start looking for the right person, make sure that you understand all the legal implications and responsibilities of taking someone on. You’ll need to make sure that you don’t fall foul of any labor laws, or equal opportunities legislation. You will also need to let the IRS know that you have taken on a new hire, and ensure that you complete the necessary paperwork. There are taxes that you, as the employer, need to pay and information that you need to give the IRS on a regular basis. Knowing exactly what you want your hire to do, will help you know what to look for. Working in startups tends to mean a broader job description than most roles, you want someone who will be able to pitch in and help in multiple areas. Once you’ve determined what you want from hiring your first employee, you can work on what needs to be included in the contract of employment. You have three options for startup hiring. You can advertise your vacancy yourself, you can use an agency, or you can use word of mouth. Which you choose, will depend on the time:money ratio that you have available. We’ve talked before about recruitment strategies, but one thing to keep in mind is that trusting on instinct, or other people’s opinions, isn’t the best way to screen potential staff. Make sure that you take up references, carry out aptitude testing, and look into drugs testing, background checks and more if they will be appropriate for your business. Hire in haste, repent at leisure. When you’ve found the right person, you need to think about how you’re going to make them a useful part of the team. 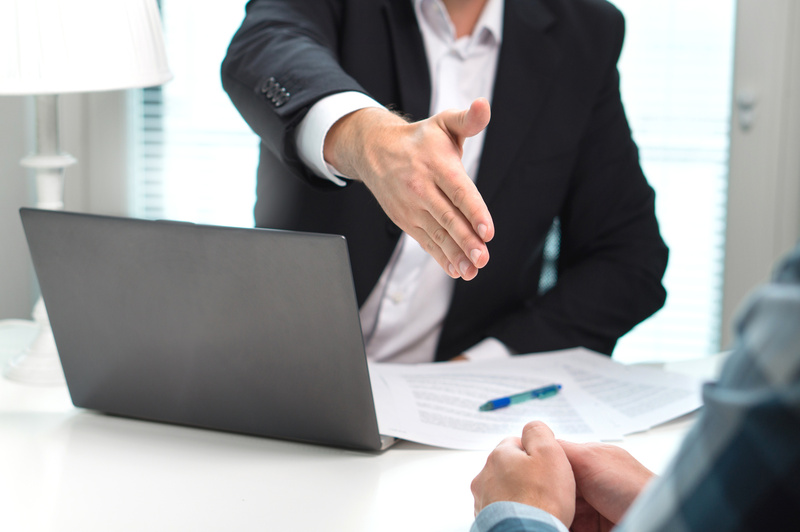 Onboarding is a vital step in hiring a new employee. What do they need to know in order to be useful as soon as possible? Try and avoid having them start with nothing to do, no computer, phone or desk. Don’t be one of those bosses who wish they’d hired people months before they actually did. The average time it takes to hire someone is now almost three weeks and if this is your first hire then there’s a good chance it will take longer. If you’re thinking about hiring at some point in the near future, then it’s worth starting the process now. Your first startup hire is one of the best ways to expand your business, giving you more capacity to get your work done. For more news on entrepreneurship, business, marketing and more then check out the other articles on our blog today!